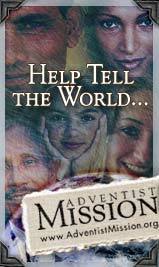 In a special sense Seventh-day Adventists have been set in the world as watchmen and light-bearers. To them has been entrusted the last warning for a perishing world. On them is shining wonderful light from the Word of God. They have been given a work of the most solemn import,—the proclamation of the first, second, and third angels’ messages. There is no other work of so great importance. They are to allow nothing else to absorb their attention. Evangelism 119.